Twilight Sparkle loves to cozy up with a good book. 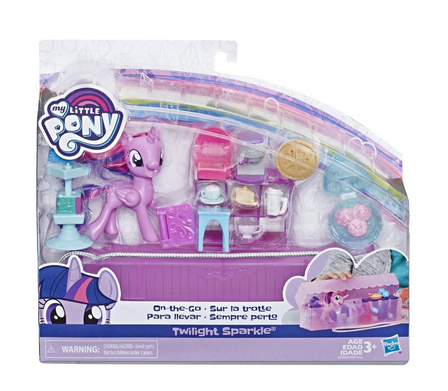 Bring Twilight Sparkle with you on adventures with this On-the-Go Twilight Sparkle pack! 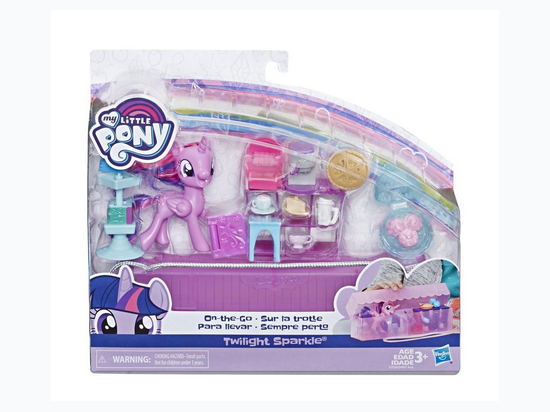 Discover character-inspired scenes and accessories to help imagine stories with the 3-inch Twilight Sparkle pony figure. Comes with a double-sided cardboard story scene and 14 themed accessories. Use the included hot cocoa, pastries, and book accessories to imagine Twilight Sparkle is having a tasty treat while studying magic in a cafe! Pack also includes a clutch-shaped storage case with handle. Place the figure, accessories, and story scene inside the travel clutch to bring the fun on-the-go! 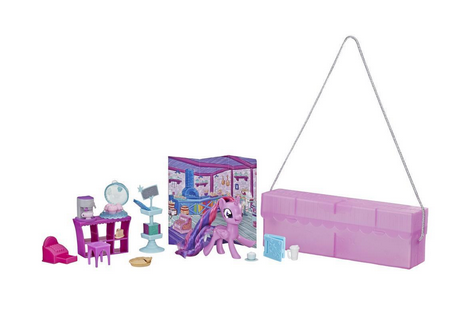 Includes pony figure, carrying case, cardboard scene, and 14 accessories.